Introduction: Savage gear has been on a tear this past season, most recently introducing their very popular new bluegill soft bodied swimbaits. 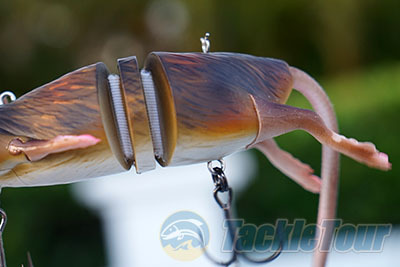 Their baits are known for their realism which is a result of 3D scans of actual predatory fish prey. Mike Bennett, Product Manager, at Savage Gear USA has been hard at work bringing new designs specifically created for the US market. This evening at a media event at Marco Island, Florida the topic of big baits came up and he disappeared from the table only to return with a new prototype bait that is set to debut this coming ICAST. Usually a rat is the last thing you want to see in a restaurant but when your talking to a bunch of fishermen it seems so very appropriate. 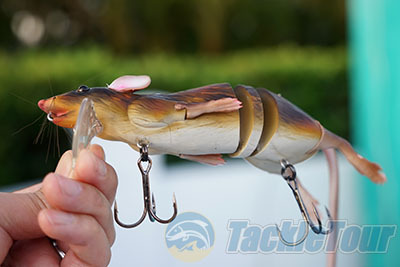 The Savage gear 3D Rat might just be the most realistic rat lure created to date, and is based on a 3D scan of an actual rat. Wonder who drew the short straw that day in the scanning department? 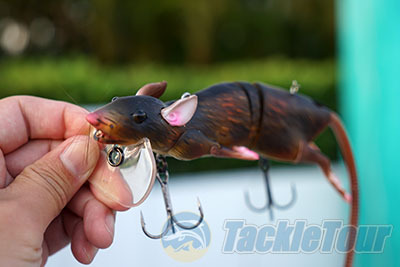 The 3D Rat is designed for Largemouth Bass, Pike, and Musky and features a 3 segment body that is connected with mesh for ultimate durability and free range of motion. The tail, legs, arms, and even the ears are all made of durable rubber for a more lifelike appearance, and all of these appendages can be easily replaced. Each Savage gear 3D Rat comes with two treble hooks as well as a top hook rigging option for a stinger or fishing in and around heavy cover. It is hard to describe just how realistic looking this lure is, and as we were passing it around the table the waiters at the restaurant did more than a double take. The 3D Rat will be available in all the usual colors that you would expect a rat to come in, including Black, Brown, Grey, and White. There are also two different sizes that will be available the 11 3/4" and the 7 3/4", and each of these floating lures will come with one body and two tails. Looking at the quality of these prototypes there is no doubt that they are ready for primetime. Mike showed me some footage of the lure being fished and the swimming action of the bait all the way down to the tip of the tail looks extremely lifelike and convincing. 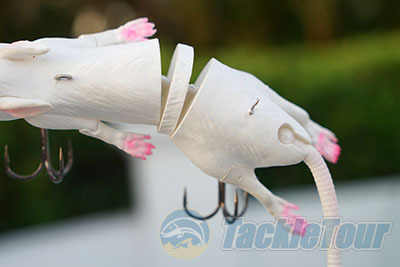 So how much will the new 3D Rats cost when they are made available around the ICAST timeframe? based on the quality and features they look like they should retail near the 40 dollar price point, but like so many other Savage Gear lures they are priced within reach of everyday anglers, with the smaller version retailing for $19.99 and the larger version for only $24.99. 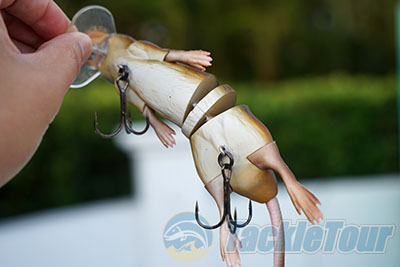 If your a big bait fan or enjoy tossing wakebaits these new 3D Rats from Savage Gear look like a hot ticket, and I can't wait to see some bass annihilate them on the surface. 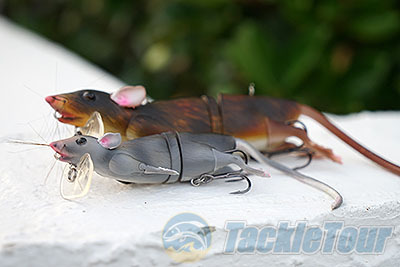 While these new rats are very cool Mike also hinted that Savage Gear has some other equally exciting big baits in the works for this coming season, but he is remaining tight lipped and what they are still remains a mystery, one can only wonder what other creatures the team will place into their scanners next.